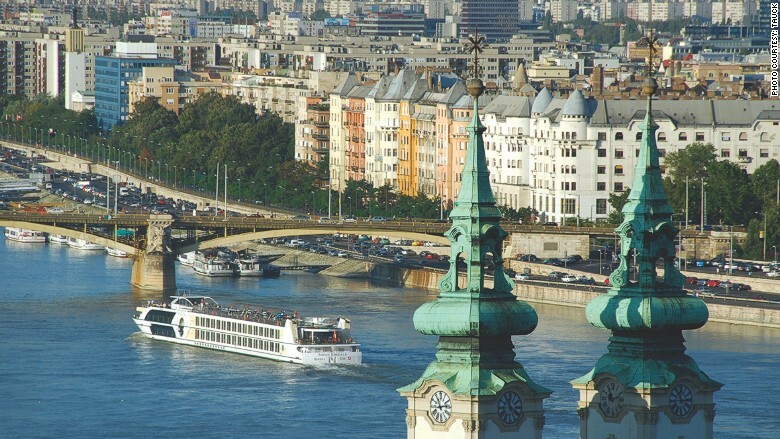 Luxury river cruises, like this one through Europe, are becoming more popular among travelers. River cruising has become a hot vacation option, but some luxury offerings are taking it to next level. Different river cruising itineraries exploring the same area can look similar, but high-end cruises tend to offer more experiences, said Damian McCabe, CEO of McCabe World Travel. "A luxury line will finish a tour and then perhaps take you to the garden of the castle, or add a short concert with a glass of champagne or arrange dinner in the castle." Last year, 20% of McCabe's cruise business involved river cruises. For travelers looking to book a luxury river cruise getaway, Damian suggested evaluating the activities, the passenger-to-staff ratio and boat amenities.